As you age, your vision tends to deteriorate, but you can do something about it. A comprehensive eye exam, for instance, can help determine age-related eyesight problems. In today’s post, Clear View Vision Care, your dry eyes specialist, lists three common eye conditions associated with aging. This eye disease is characterized by the clouding of the lens in the eye, which affects vision. It’s also the most common vision problem encountered by patients over age 40. Today, over 22 million people in the country are living with cataracts. The number of cataracts cases is expected to reach over 30 million by 2020. How do cataracts affect vision? The natural lens of the eyes works similar to a camera lens. It focuses light on the retina for clear eyesight. Normally, the lens is made of protein, which is arranged in a way where light can pass through. The protein, however, may clump together and start to cloud a small area of the lens as we age. Similar to cataracts, macular degeneration is an age-related eye disease, which affects over 10 million people in the country. This vision problem is due to the deterioration of the central portion of the retina or the macula. This component of the retina controls a person’s ability to read, drive a car, recognize faces or colors and see objects in fine detail. Aging is also a risk factor for dry eyes development. This condition is often caused by insufficient lubrication and moisture on the surface of the eye. People with dry eyes often experience a burning sensation, itchy eyes and blurred vision. Light sensitivity and sore eyes are also common symptoms. 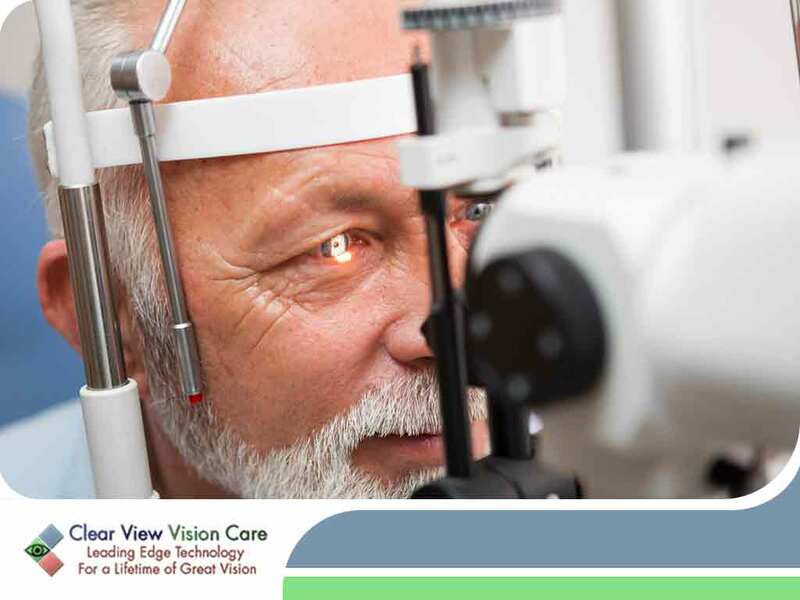 Count on Clear View Vision Care for your eye care needs. We conduct comprehensive eye exams to help identify underlying vision problems. Call us today at (520) 394-6111. You can also fill out our online form to schedule an appointment. We serve residents of Tucson, AZ, and other nearby areas.